Experiments like the Wason Selection Task dramatically demonstrate the fractionate, heuristically specialized nature of human cognition. Dress the same logical confound in social garb and it suddenly becomes effortless. We are legion, both with reference to our environments and to ourselves. The great bulk of human cognition neglects the general nature of things, targeting cues instead, information correlated to subsequent events. We metacognize none of this. Insofar as Catherine Malabou concedes the facts of neurobiology she concedes these facts. 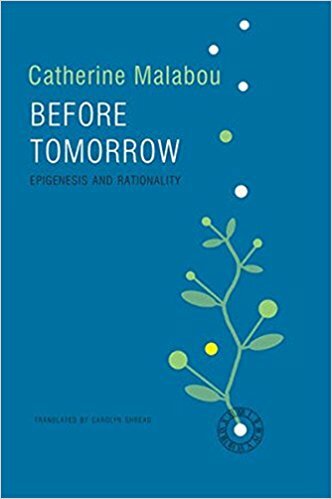 In Before Tomorrow: Epigenesis and Rationality, she attempts to rescue the transcendental via a conception of ‘transcendental epigenesis.’ The book orbits about section 27 (pp. 173-175 in my beaten Kemp-Smith translation) of the Transcendental Deduction in the second edition of The Critique of Pure Reason, where Kant considers the vexed question of the source of the agreement of the transcendental and the empirical, conceptuality and experience. Kant considers three possibilities: the agreement is empirically sourced, transcendentally sourced, or fundamentally (divinely) given. Since the first and the third contradict the necessity of the transcendental, he opts for the second, which he cryptically describes as “the epigenesis of pure reason” (174), a phrase which has perplexed Kant scholars ever since. She examines a cluster of different theories on Kant’s meaning, each pressing Kant toward either empirical or theological contingency, and thus the very contradiction he attempts to avoid with his invocation of ‘epigenesis.’ Malabou undertakes a defense of Kantian transcendental epigenesis in the context of contemporary neurobiology, transforming Kant’s dilemma into a diagnosis of the dilemma she sees confronting Continental philosophy as a whole. Via Foucault, she argues the historicity of transcendence as epigenesis understood as the invention of meaning (which she thinks is irreducible). “[N]o biologist,” she writes, “examines the relation between genetics and epigenetics in terms of meaning.” Via Heidegger (“who is no doubt the deepest of all of Kant’s readers”) she argues that the ecstatic temporality of transcendence reveals the derivative nature of empirical and theological appropriations, which both cover over primordial time (time before time). She ultimately parts with Heidegger on the issue of primordiality, but she takes away the phenomenological interpolation of past, present, and future, building toward the argument that epigenesis is never simply archaeological, but aimed as well—teleological. Meillasoux seems to overthrow the primordial via reference to the ancestral, the time before the time before time, but he ultimately fails to deliver on the project of contingency. For all the initial praise Malabou expresses for his project, he ultimately provides her with a critical foil, an example of how not to reach beyond the Kantian tradition. (I especially enjoyed her Heideggerean critique of his time before the time before time as being, quite obviously (I think), the time after the time before time). She ultimately alights on the Critique of Judgment, with a particular emphasis on section 81, which contains another notorious reference to epigenesis. The problem, once again, was that reading ‘the epigenesis of pure reason’ empirically—neurobiologically—obliterates the transcendental. Reading it formally, on the other hand, renders it static and inexplicable. What Malabou requires is some way of squaring the transcendental with the cognitive scientific revolution, lest Continental philosophy dwindle into a museum relic. She uses the mingling of causal and teleological efficacy Kant describes in the Third Critique as her ‘contact point’ between the transcendental and the empirical, since it is in the purposiveness of life that contingency and necessity are brought together. And so is the place of cognitive science made clear: “what neurobiology makes possible today through its increasingly refined description of brain mechanisms and its use of increasingly effective imaging techniques is the actual taking into account, by thought, of its own life.” The epigenetic ratchet now includes the cognitive sciences; philosophical meaning can now be generated on the basis of the biology of life. “What the neurobiological perspective lacks fundamentally,” she writes, “is the theoretical accounting for the new type of reflexivity that it enables and in which all of its philosophical interest lies.” Transcendental epigenesis, Malabou thinks, allows neurobiologically informed philosophy, one attuned to the “adventure of subjectivity,” to inform neurobiology. She concludes, interestingly, with a defense of her analogical methodology, something I’ve criticized her for previously (and actually asked her about at a public lecture she gave in 2015). I agree that we’re all compelled to resort to cartoons when discussing these matters, true, but the problem is that we have no way of arbitrating whether our analogies render some dynamic tractable, or merely express some coincidental formal homology, short their abductive power, their ability to render domains scrutable. It is the power of a metaphor to clarify more than it merely matches that is the yardstick of theoretical analogical adequacy. In some ways, I genuinely loved this book, especially for the way it reads like a metaphysical whodunnit, constantly tying varied interpretations to the same source material, continually interrogating different suspects, dismissing them with a handful of crucial clues in hand. This is the kind of book I once adored: an extended meditation on a decisive philosophical issue anchored by close readings of genuinely perplexing texts. Unfortunately, I’m pretty sure Malabou’s approach completely misconstrues the nature of the problem the cognitive sciences pose to Continental philosophy. As a result, I fear she obscures the disaster about to befall, not simply her tradition, but arguably the whole of humanity. When viewed from a merely neurobiological perspective, cognitive systems and environments form cognitive ecologies—their ‘epigenetic’ interdependence comes baked in. Insofar as Malabou agrees with this, she agrees that the real question has nothing to do with ‘correlation,’ the intentional agreement of concept and object, but rather with the question of how experience and cognition as they appear to philosophical reflection can be reconciled with the facts of our cognitive ecologies as scientifically reported. The problem, in other words, is the biology of metacognition. To put it into Kantian terms, the cognitive sciences amount to a metacritique of reason, a multibillion dollar colonization of Kant’s traditional domain. Like so much life, metacognition turns out to be a fractionate, radically heuristic affair, ancestrally geared to practical problem-solving. Not only does this imperil Kant’s account of cognition, it signals the disenchantment of the human soul. The fate of the transcendental is a secondary concern at best, one that illustrates rather than isolates the problem. The sciences have overthrown the traditional discourses of every single domain they have colonized. The burning question is why should the Continental philosophical discourse on the human soul prove an exception? So long as we believe in ‘realities of thought,’ Continental philosophy is assured its domain. But are these ‘realities’ what they seem? Remember Hume: “It is remarkable concerning the operations of the mind that, though most intimately present to us, yet, whenever they become the object of reflection, they seem involved in obscurity; nor can the eye readily find those lines and boundaries, which discriminate and distinguish them” (Enquiry Concerning Human Understanding, 7). The information available to traditional speculative reflection is less than ideal. Given this evidential insecurity, how will the tradition cope with the increasing amounts of cognitive scientific information flooding society? The problem, in other words, is both epistemic and social. Epistemically, the reality of thought need not satisfy our traditional conceptions, which suggests, all things being equal, that it will very likely contradict them. And socially, no matter how one sets about ontologically out-fundamentalizing the sciences, the fact remains that ‘ontologically out-fundamentalizing’ is the very discursive game that is being marginalized—disenchanted. In one swoop, Kant metacognizes the complexity of cognition (two wholly different forms), the limits of metacognizing that complexity (inscrutable to reflection), and the efficacy of that complexity (enabling cognition of animate things). Thanks to the expansion of the cognitive scientific domain, all three of these insights now possess empirical analogues. As far as complexity is concerned, we know that humans possess a myriad of specialized cognitive systems. Kant’s ‘two kinds of causality’ correlates with two families of cognitive systems observed in infants, the one geared to the inanimate world, mechanical troubleshooting, the other to the animate world, biological troubleshooting. The cognitive pathologies belonging Williams Syndrome and Autism Spectrum Disorder demonstrate profound cleavages between physical and psychological cognition. The existence of metacognitive limits is also a matter of established empirical fact, operative in any number of phenomena explored by the ecological rationality and cognitive heuristics and biases research programs. In fact, the mere existence of cognitive science, which is invested in discovering those aspects of experience and cognition we are utterly insensitive to, demonstrates the profundity of human medial neglect, our utter blindness to the enabling machinery of cognition as such. And recent research is also revealing the degree to which humans are hardwired to posit opportunistic efficacies. Given the enormity and complexity of endogenous and exogenous environments, organisms have no hope of sourcing the information constituting its cognitive ecologies. No surprise, neural networks (like the machine learning systems they inspired) are exquisitely adapted to the isolation of systematic correlations—patterns. Neglecting the nature of the systems involved, they focus on correlations between availabilities, isolating those observable precursors allowing the prediction of subsequent, reproductively significant observables such as behaviour. Confusing correlation with causation may be the bane of scientists, but for the rest of us, the reliance of ‘proxies’ often pays real cognitive dividends. Humans are hardwired to both neglect their own cognitive complexity and to fetishize their environments, to impute efficacies serving local, practical cognitive determinations. Stranded in the most complicated system ever encountered, human metacognition cannot but comprise a congeries of source-insensitive systems geared to the adventitious solution of practical problems—like holding one’s tongue, or having second thoughts, or dwelling on the past, and so on. In everyday contexts, it never occurs to question the sources of these activities. Given neglect of the actual sources, we intuit spontaneity whenever we retask our metacognitive motley with reporting the source of these or any other cognitive activities. We have very good empirical reasons to believe that the above is true. So, what do we do with transcendental speculation a la Kant? Do we ignore what cognitive science has learned about the fractionation, limits, and default propensities of human metacognition? Do we assume he was onto something distinct, a second, physically inexplicable order enabling cognition of the empirical in addition to the physically explicable (because empirical) order that we know (thanks to strokes, etc.) enables cognition of the empirical? Or do we assume that Kant was onto something dimly, which, given his ignorance of cognitive science, he construed dogmatically as distinct? Do we recognize the a priori as a fetishization of medial neglect, as way to make sense of the fractionate, heuristic nature of cognition absent any knowledge of that nature? The problem with defending the first, transcendental thesis is that the evidence supporting the second empirical hypothesis will simply continue to accumulate. This is where the social problem rears its head, why the kind of domain overlap demonstrated above almost certainly signals the doom of Malabou’s discursive tradition. Continental philosophers need to understand how disenchantment works, how the mere juxtaposition of traditional and scientific claims socially delegitimizes the former. The more cognitive science learns about experience and cognition, the less relevant and less credible traditional philosophical discourses on the nature of experience and cognition will become. The cognitive scientific metacritique of reason, you could say, reveals the transcendental as an artifact of our immaturity, of an age when we hearkened to the a priori as our speculative authority. Malabou not only believes in this speculative authority, she believes that science itself must answer to it. Rather than understanding the discursive tools of science epigenetically, refined and organized via scientific practice, she understands them presuppositionally, as beholden to this or that (perpetually underdetermined) traditional philosophical interpretation of conditions, hidden implicatures that must be unpacked to assure cognitive legitimacy—implicatures that clearly seem to stand outside ecology, thus requiring more philosophical interpretation to provide cognitive legitimacy. The great irony, of course, is that scientists eschew her brand of presuppositional ‘legitimacy’ to conserve their own legitimacy. Stomping around in semantic puddles is generally a counterproductive way to achieve operational clarity—a priori exercises in conceptual definition are notoriously futile. Science turns on finding answerable questions in questions answered. If gerrymandering definitions geared to local experimental contexts does the trick, then so be it. The philosophical groping and fumbling involved is valuable only so far as it serves this end. Is this problematic? Certainly. Is this a problem speculative ontological interpretation can solve? Not at all. Something new is needed. Something radical, not in the sense of discursive novelty, but in a way that existentially threatens the tradition—and offends accordingly. This was the revelation I had in 1999, attempting to reconcile fundamental ontology and neuroscience for the final chapter of my dissertation. I felt the selfsame exhaustion, the nagging sense that it was all just a venal game, a discursive ingroup ruse. I turned my back on philosophy, began writing fiction, not realizing I was far from alone in my defection. When I returned, ‘correlation’ had replaced ‘presence’ as the new ‘ontologically problematic presupposition.’ At long last, I thought, Continental philosophy had recognized that intentionality—meaning—was the problem. But rather than turn to cognitive science to “search for the origin of thinking outside of consciousness and will,” the Speculative Realists I encountered (with the exception of thinkers like David Roden) embraced traditional vocabularies. Their break with traditional Kantian philosophy, I realized, did not amount to a break with traditional intentional philosophy. Far from calling attention to the problem, ‘correlation’ merely focused intellectual animus toward an effigy, an institutional emblem, stranding the 21st century Speculative Realists in the very interpretative mire they used to impugn 20th century Continental philosophy. Correlation was a hopeful, but ultimately misleading diagnosis. The problem isn’t that cognitive systems and environments are interdependent, the problem is that this interdependence is conceived intentionally. Think about it. Why do we find the intentional interdependence of cognition and experience so vexing when the ecological interdependence of cognitive systems and environments is simply given in biology? What is it about intentionality? Be it dogmatically or critically conceived, what we call ‘intentionality’ is a metacognitive artifact of the way source-insensitive modes of cognition, like intentional cognition, systematically defer the question of sources. A transcendental source is a sourceless source—an ‘originary repetition’ admitting an epigenetic gloss—because intentional cognition, whether applied to thought or the world, is source-insensitive cognition. To apply intentional cognition to the question of the nature of intentional cognition, as the tradition does compulsively, is to trip into metacognitive crash space, a point where intuitions, like those Malabou so elegantly tracks in Before Tomorrow, can only confound the question they purport to solve. Derrida understood, at least as far as his (or perhaps any) intentional vocabulary could take him. He understood that cognition as cognized is a ‘cut-out,’ an amnesiac intermediary, appearing sourceless, fully present, something outside ecology, and as such doomed to be overthrown by ecology. He, more-so than Kant, hesitates upon the metacognitive limit, full-well understanding the futility of transgressing it. But since he presumed the default application of intentional cognition to the problem of cognition necessary, he presumed the inevitability of tripping into crash space as well, believing that reflection could not but transgress its limits and succumb to the metaphysics of presence. Thus his ‘quasi-transcendentals,’ his own sideways concession to the Kantian quagmire. And thus deconstruction, the crashing of super-ecological claims by adducing what must be neglected—ecology—to maintain the illusion of presence. And so, you could say the most surprising absence in Malabou’s text is her teacher, who whispers merely from various turns in her discourse. “No one,” she writes, “has yet thought to ask what continental philosophy might become after this “break.” Not true. I’ve spent years now prospecting the desert of the real, the post-intentional landscape that, if I’m right, humanity is doomed to wander into and evaporate. I too was a Derridean once, so I know a path exists between her understanding and mine. I urge her to set aside the institutional defense mechanisms as I once did: charges of scientism or performative contradiction simply beg the question against the worst-case scenario. I invite her to come see what philosophy and the future look like after the death of transcendence, if only to understand the monstrosity of her discursive other. I challenge her to think post-human thoughts—to understand cognition materially, rather than what traditional authority has made of it. I implore her to see how the combination of science and capital is driving our native cognitive ecologies to extinction on an exponential curve. And I encourage everyone to ask why, when it comes to the topic of meaning, we insist on believing in happy endings? We evolved to neglect our fundamental ecological nature, to strategically hallucinate spontaneities to better ignore the astronomical complexities beneath. Subreption has always been our mandatory baseline. As the cognitive ecologies underwriting those subreptive functions undergo ever more profound transformations, the more dysfunctional our ancestral baseline will become. With the dawning of AI and enhancement, the abstract problem of meaning has become a civilizational crisis. Best we prepare for the worst and leave what was human to hope. This sounds like you have a 300 pound brain. Kidding! But hey: do you feel that you are presenting the situations in the simplest way possible ? Cognition, respiration, digestion… My sense of this is once you accept that cognition is merely biological like respiration and digestion the Blind Brain/Heuristic Neglect theory follows in a pretty straightforward way. I think the complexities come from two sources. The first is the need to address traditional philosophy in its own language. The second is the need to work out the implications of BBT/HNT for the areas of public life that will have to change to accommodate cognitive technology. Wow. I totally love it. I have to tell you though. In my couple years of reading your stuff, I never consolidated it to that statement. Thank you. That is exactly what I see, that’s why I have said I agree but somehow we don’t agree. My work sees that sufficiency is only sufficient for “big” practical political social use. Which is fine. I see that we have not explained Why the bbt and herisirc neglect occurs. And this is why we are stuck, as Ziziek might say, finding it exceedingly difficult to imagine outside of capitalism, or as others might say, the correlational world. What is phenomenological has only been sufficiently conveyed; like we know if you pedal a bike we can balance on two aligned wheels and propel forward. That is sufficient to be able to talk about the riding of bikes in the world world without having to question just what that “seat” is, or just what is the “frame” anymore (much of philosophy is concerned with rehashing these questions in all sorts of interesting ways seeing itself as getting somewhere with the rephrasing and re terming. But the, say, motion of the leg work, coordination, wind, rubber, metal , mass, friction, has not been talked about. As An analogy. Of course. It maybe that we can explain a lot from biology, but that too will leave us with only a sufficient explanation . There are loose ends that keep, say, your work “on one side”, relying upon another given without explaining just How cognition is working to perpetuate the blind neglect. This is what I call the “hard question” because it seeks to explain the content of a limit that appears has no content. One issue I’ve been having , I think, with some of your stuff, is appears to me the answer you give is “it just is”. I propose their is a way to explain it without recourse to a further “transcendental” clause. I would suggest that Malibu is attempting to recoup it’s kind of “ideal“ reality, attempting to draw the parameters, or approach definition, of this “new reality”. The book I’m working on right now which will be out in the end of the summer suggests that at the beginning of the 20th century the previous ideology I want one could really call an effective intrinsic mythology, was up rooted in the 20th century was basically the human animal attempting to re-ground what had been thrown into space. What we are finding now through discourse is that it appears you are involved with, and Malibu is on one side of that, is establishing discursive certitude, basically using the conceptual defaults and progressively reductive manner to eventually re-stabilized what has for the past 100 years been floating around in nihilistic uncertainty. The discursive defaults will eventually read ground themselves in a mythology that can no longer be shaken again until it’s particular scaffolding of logic has played itself out, as we found beginning with say Kant, playing out through the postmoderns in the 70s and 80s. This begins to tell us how we can overcome that gap, and what place that your “crash space” actually defines so far is what the human being is as a universal object. The theoretical goal shouldn’t be to engage with traditional philosophical discourse in its own terms but to see if HNT adds to or forces revision in the tennets of modern dynamical systems theory / free energy minimization / bayesian approaches to cognition. But it all comes back to the explananda problem, as far as I can tell, a way to square scientific knowledge with our knee-jerk self-and-other-reports. Clearing away traditional theoretical obfuscations is an inescapable task in this respect. Just look at the debates within Bayesian circles regarding intentionality… short my project, you can see all the ancient lines redrawn, the way they have been in computer science, for example. The subject matter is simply too confounded not to require some degree of diagnosis. I don’t start by seeing only a “desert” of the real, I can visualize a lush landscape of the real, “out there.” It’s full of natural wonders and breathtaking color. Sure, it might all be “epigenetic gloss” … and never make its way into the material field of view that is only biological. But then I ask, what fully (and only) cognitive function(s) do your best fiction books come from? Does what we semantically call “creativity” just “happen” as random bursts of brain activity? Or are we failing to semantically describe what we call fiction? The phenomenological problem, is see, is an issue of local parameters defined by a general in-localizable field. This is state specific, and we are allowed to find any state within a parameter of time (Heidegger lets us do that). The issue about stepping out of time is not one that necessarily should be reduced back into the phenomenological field of knowing, knowledge and knowable. These categories are too saturated with the state that they are supposing to represent to be able to speak clearly about what is actually occurring, I’d say. We could look at how easy things were when they were identifiable enemies. The coincidence of the state of being of individuals was not as problematic when we could point to someone else and say “they are incorrect, and thus ethically compromised”. The destroying of the Berlin wall in 1989, open the door to a state of unknowing. The individual had no recourse to any stable situation of define statehood. It could only fall back into itself and realize and rely upon the phenomenological situation of being found at the center of the economic individual. Now we have enemies coming out from every direction. We can’t be sure where the enemies hide where they might be in so we have refined our view to locate occasions that indicate opposition to what we know is true being. We have terrorists we have Isis we have Islamicist we have migrants we have gangs we have trade wars we have all sorts of nonsense going on around the state that cannot find a way to ground itself any certitude of what it supposed to represent. I think it’s possible that we do not have enough walls; not that we need to break them down even more. At what point does the disintegration of rocks itself become another layer of geology? … this is to say that we should begin to erect walls in the proper places, as I think it is Husserl (?) or was it Aristotle I’m not sure, that’s things should be distinguished at their proper joints, not nearly divided up for the sake of being able to. But that is the point, “proper joints” are sometimes dynamic, and not always static. So where is the “proper” point to distinguish in a complex adaptive system? Geology is the “study of” and (only) when necessary, the “disintegration of rocks” becomes (as you put it) “another layer” within it. From my perspective, there isn’t some static “point” where “disintegration of rocks” is always (as you put it) a layer within geology. So then, when (and how) do brain activities produce works of fiction? Yes. There can be a total fiction, and then we can point to specific fictions. On a metaphysical level, sure we can come to “eternal relativity”. But we, as the thinker, do not function in the manner such a definition would imply, hence the contradiction, the nihilism of Being right now, as a specific state. We function through finding. Definite, particular and specific things; for example “no point at which..”. And “works of fiction”. These are ‘things’ which are behaving to grant a particular thing…. the fact is that we do not come upon things a relative things; we come upon things in themselves. One of the oddest situations I have found in philosophy is in Logical Investigations2 of Hursserl. the one that usually gets all the comments. He tells us right off that the way you get to an object in-itself, an independent or non-dependent object, is to have it. For example: cup. there it is, the cup, that object in-itself the object independent from any other thing. Then he moves to say that when we begin to look at it and ask into it, we find the relativity, the metaphysics that arrives eventually at the phenomenological reduction. This computer screen may “actually” be just a bunch of dots and ultimately electric signals, but I simply do not function upon that information. It is a condition of my ability to think; it does not explain the phenomenon of my typing a message to you right now. of course we cal call it “fiction” but what is the point of that? Is it to say that what I am experincing and what I know and do is all based in an illusion? Why would I wish to think that way of myself? My typing in the computer is no illusion of some “sub” or “meta” Truth; but yet it is. But I do not do things in the world based upon me Being “nothing”. I do and behave exactly because I am able to have True Things before me. So what if they are relative to each other. That too is merely another True Thing upon which I am basing my activity upon. It is only illusory in as much as “illusion” functions Truly for me, as a thing in-itself. My question, similar to your fiction question, is, at wha point do we stop “believing” that I am Being in relativity? When do we stop “believing” such “fictions” and get on to what is actually occurring in front of me? Must I constantly remind myself that what is occurring in front of me is “nothing”? I say no. Such metaphysical ideals occupy a condition of being but are not effecting the Being from some outside “actuality”. The proposed joint. I’d make an analogy to a musical instrument, or maybe music in general. Any vibrating segment can be divided up any number of ways and can be ‘argued’ for various valid reason why it was deviddd up in whatever way. But ressonnances divide up in only one proper fashion, needing no argument as to why because the sounds emmenating from it ‘prove’ that the junctures were properly made. … then how does that “only biological” brain with its purely “blind” cognitive functions create fiction? … we can’t call it fiction and need better semantics. (Yes speculative, science, etc… fiction … but then, the worlds being created are still fiction and “creativity” needs to be defined within the boundaries of BBT). And to your: “Such metaphysical ideals occupy a condition of being but are not effecting the Being from some outside “actuality”. Well, if fiction is “a condition of being” and is created by the Being, then as “a condition of” it is in fact “affecting” the Being itself, no? Yes. I agree with your critique of bbt . I my self have accused it of being religious dogma. 😄. With comments though…extenuating circumstances. I’d say (tentatively) to your last question: it is a redundant function to maintain the effect of a total world. My previous response answers most of this, I think. But it’s important to appreciate that ‘appearance/reality’ is itself a (radically procrustean) heuristic possessing adaptive and maladaptive problem-ecologies. If you substitute the term ‘writing’ for ‘fiction’ the problem vanishes. Since the latter term, ‘fiction,’ cues appearance/reality, which in turn solves various problem sets by ignoring the astronomical natural complexities involved, then adducing these complexities is going to crash our intuitive sense of ‘fiction.’ Lacking any principled means of understanding this crash, the assumption is that it evidences the inadequacy of ‘naturalizing fiction,’ rather than what it actually does, which is evidence the (extraordinary, I think) power of heuristic neglect theory to explain why we find ourselves trapped in these intentional Klein bottles. It’s a radically different way of conceiving cognition, Joseph. Give it time. Fiction is not real, in any sense of the word. It involves the cognitive “making up” of worlds, from various cues yes … but the entirety of a work of fiction is “created” where it did not exist before. If you want to reduce or substitute the word “fiction” (which in this case refers to something created) to the cognitive “act” of writing that creates it, yes … time will tell indeed. The fictional worlds created by a writer’s brain, nor the inspiration for going through the painstaking work to create these worlds didn’t exist before the book or other work was created, even though they remain fictional. I don’t think it will reduce down like that, either. But course I’m open to the possibility that it could be IF we could describe better what creativity reduces down to as it pertains to specific cognitive function(s). In order for your “radical” way of conceiving cognition to prove itself, it can’t just “crash” intuitive senses of fiction, it will also have to explain how works of creative fiction would be created (come to being) in the first place. It’s so much easier to look at HNT and say “you’re right” (I suppose I mistakenly called it BBT). That said, it still has a lot of explaining to do, mainly because it’s so reductive. ‘Fictional worlds’ as metacognized, or as ‘originally’ experienced by readers prior to reflection, or as belonging to a heuristic ecology, a means of managing deep environments by pulling on the strings available? One of the craziest strengths of HNT, I think, is the parsimonious explanation it provides of content as a kind of inherence heuristic, a means of sourcing what is otherwise unsourcable. So the idea of fiction understood semantically, as something possessing content, is very elegantly explained (away). On the constructive as opposed to critical side, it outlines what content-talk more generally does, as well as the way narration places us in embodied relations with our environments, with high dimensional orientations communicated across time and space. Also in terms of a direct word substitution (writing for fiction) … I don’t buy that. What do you by stepping outside of time. You are aware that cognitive systems with narrative capacities are able to make the move from the moment by moment flow of successive “representations” to the “representation” of succession. This just means we have a history and we can incorporate this history into the moment by moment selection of next behaviors. I don’t see what it would mean to step outside of time though? I meant to say “un-localizable”. What is not located can be said to be outside of time. Time locates Being in a manner of speaking Heidgeer. But Heideggers Being relates a problem, because his Being = time. He defines a Being. But the being thereby necessitates something outside of it. The thing that ‘withdraws’. Maybe check out Hartman Object Otiented Ontology. OOO. Hi Joseph–thanks for the reblog as always. You’re missing the point entirely so long as you read HNT as entailing/endorsing any neural identity theory. There’s no easy one-to-one correspondences between terms belonging to heuristic regimes and the natural world because, generally speaking, those regimes are adapted to avoiding the nature of the natural world. Creativity, the derivation of unprecedented morphologies/behaviours from noise and effect-feedback, is ubiquitous in nature. My writing is simply part and parcel of this biological engine, one involving my brain and behaviour as well as the brains and behaviours of countless others, as well as countless extraneous ‘random’ factors, such as (as happens to be the case today) too much alcohol the night previous. In other words, my writing arises out of a cognitive ecology anchored in my organism and environment. My fiction, on the other hand, involves cuing these nature-neglecting heuristic regimes. The trick to naturalizing ‘fiction’ involves understanding the nature of these heuristic regimes, which are anchored in our shared environments and neurologies and can be ‘reduced,’ which is to say, understood biologically. How does a heuristic regime recognize a heuristic regime that is not being comprised of the regime that is cognizant it? How does one recognize something that is not contained in their own heuristic regime ? By running with the information available to leverage what solutions it can. Heuristic systems are just more nature, after all. The only wrinkle is the complexity of biology. If I’m right, then intentional philosophy is the expression of what happens when the heuristic regimes of intentional cognition attempt to solve the nature of intentional cognition. See, you’re putting into words something that sounds a lot like what I’m doing. Various sides of a polyhedron I d say. Rather that competition and merleting of intellectual products (capitalism). it’s more like efforts occurring coincidentally in line with what is outside of the arguments themselves. But I’d say: within the contradiction, expressing the content of the contradiction itself. Description over argument. I am merely describing what is apparent, not necessarily developing arguments to counter any others. To me, it is not Only intensional as contingent processes of thought, as there is may be a tension toward unity, but more a “pure act” determined by the situations (objects) that are presented in occasional moments. The arguments present the situation that can only be addressed in a specific manner, only have specific responses. But there is no argument that can reduce the occasion to ‘prove’ there is only one response, to proof is the response, the occasion to respond. Yours appears to me like the developing of religious dogma because (perhaps) you are involved in developing argument, which is based in a dichotomous Essence of Things; you cannot ‘act’ as though you are not developing argument because the nature of truth is that it functions in that way, so you must approach the situation as from an antagonistic view, defensively and offensively as the situation calls for. To not do so is outside of your ability to act. Where are from ‘biology’, perhaps, I am making an argument, attempting to position myself in good marketable view. Intensional in how I behave. You are coming from biology; I am coming from psychology. Maybe. I would say that at no time are we able to discern what part of the fiction is fictional. The fiction can be seen to supply the material by which All sense gains for the subject “world”, Including that sense which grants an ability to get out of the correlation. Once this really sets in, then various results necessarily arise. I reread that post at Malibu a little more closely, considerations of our exchanges in the comments these comments. I’m not sure what part of humanity your grouping together to say “happy endings”. It seems to me that your approach is just being antagonistic to the happy ending. And I mean this not nearly like “just being antagonistic”, but rather your opinion is alarmist and I would say that what you write about in the argument that you make could not make any other sense to you. And the culmination of the meaning of the “text“ points you to a culmination that is bad for humanity. You urge Malibu to look at the material last part as you say, but I don’t think you thoroughly looked into the author is that you say that you are using to come to this idea that you have. I’m wondering if you are looking at how your consciousness is functioning to make the meeting that somehow we are destroying the world or are going to kill her self some how. When you think of AI, it is possible to think of it in terms of the transition from animal to human being. Of course it is possible to take those categories apart to see no distinction to see that there was just a continuum of evolution. But then if we step back and look at the Universe it self the universe as an in itself thing that exists, as we exist within it and Of it, we might see that we as human beings are not special. Human consciousness did not develop a special ability that is able to segregate itself sufficiently to be able to see true things of the functioning of the universe. They are not even models when you think about that the universe is the totality of things in the universe being their constituents of the universe. But of course they human being has to function and it’s particular human manner. It has to function through the mechanisms of the rain to have a world in which it functions sensibly. But if you look at every single metaphysics and description that leads to this conclusion or conclusion similar to how I have just put it, all of them say that there has to be some sort of rupture, some sort of interjection between the knowing human and functioning universe. My point is though that how can AI be something other than part of universal evolution? I may be misunderstanding you from not reading enough of you, but I feel like you’re deathly afraid that artificial intelligence is going to destroy humanity, or humanity is going to create something or do something that’s going to destroy itself. I would say that It is entirely possible thatthe evolutionary jump from animal to human will be a similar evolutionary jump from human to AI. Human being still see themselves as animals and try to reconcile ourselves in evolutionary history of the universe that attaches itself to animals; The animals have lost nothing. In the same way it is possible that if a I actually comes about in the way people imagine it will, then there will be nothing human lost in the AI as it goes forward as a conscious being of the universe. But also I’m saying is there’s really nothing that I could argue or say or anything to you that could get you to set aside your position. Your position and your view upon the world is set, you cannot choose to set it aside nor change your mind upon it. There is no argument that I could make the change your mind because every argument that I would make in that effort which is prove to you that I’m being stubborn and obstinate in my view. So I think it’s funny when you say you urge Malibu to look at the material list repercussions of ecology and our myopic view that everything’s gonna turn out all right. It sounds kind of eerily similar to Jehovah’s Witnesses going out on the New York bridge or whatever at the turn of the 20th century because they were sure that the world is going to end. Or even in the late 80s when everyone was thinking that the world was going to end in 2012, or that the way computers were using and handling date signatures was gonna cause a catastrophic demise of civilization as we know it. …. but all that being said: I agree with your posture, I just think there are some loose ends. yeah it seems like the duality of intentional and causal or social metacognitve and mechanical cognition as still both being “mechanical in the last instance” is a stumbling point for many readers of theory. the interesting thing is that correlative cognition comes first, and it’s out of successive variations in the conditions of correlation that we stitch together causal accounts, but each step still proceed via a mechanistic interaction. just some random anecdata here. growing up I used make my dad mad by standing outside of the embodied context of actually working with tools and doing stuff to giving an ongoing problematizing commentary. this was actually where I first learned the word philosopher bc he would tell “oh you think you are a philosopher now!”. the coolest observation of intentional / mechanical divide that I witnessed was my dad was working on a lawnmower. now my dad has callous affect that jack talks about as being the preconditions for non belief in dualism, and the inability to perceive the “problem of consciousness”, so hes a pretty hard minded mechanical thinker. but I noticed when his ability to gather information about the lawnmower ran out is when his own ongoing commentary made the turn to supernatural posits like the machine having desires, the influence of luck, and so on. it was just really striking for me to “see the theory” in such an every day context like that. Great story–and about a lawnmower no less! More and more I think it all comes back to the sound of one-hand clapping, the executive capacity to resist certain cognitive reflexes, and to apply learned, often counter-intuitive strategies. The biological koan I’m peddling is, I suspect, beyond the capacity of a great many to take seriously. Knowledge talk cues intentional cognition because the tools comprising it were the only tools anyone had ever possessed to trouble-shoot cognitive problems. In-line with the executive capacity to resist certain cognitive reflexes, what signals your ability to reason that it is coming upon something actual, or true or whatever term you would use to describe… I don’t know what would you call? This is not epistemology. It is a question of logistics. Are you able to choose beyond what your reason is telling you is true? In a very exit stencil question would be why is not what you’re saying 100% obvious to me from the premises to the conclusions? I like a lot of the premises but I’m not sure of your conclusions. It seems that crash space has appeared in your view of me. It seems that you are unable to reconcile what I’m telling you, and the way that you reconcile it is to crash, or as Bruno Latour might say, you enact a pass over that which does not reconcile to what you understand as truth. I walk my dogs and it takes about an hour and a half so I have a lot of time to read and comment. Lol. Any thoughts on James Tartaglia’s “Philosophy in a Meaningless Life: A System of Nihilism, Consciousness and Reality”? I remember thinking that it was a ‘soft’ nihilism, as well as intentionalist–enough for me to pass on buying it. Like Radical Atheism in some respects. Do you think it worthwhile? I haven’t read the entire thing – I’ve been skipping around in it. I also read Tartaglia’s contribution to the Keith Frankish Illusionism issue of JoCS. I take him as saying that you can take your nihilism as soft or hard as you want – it’s a matter of taste. James just happens to prefer the softer interpretation. But I find his Transcendent Hypothesis more interesting, as it lines up pretty with with my own conclusions that I’d reached before reading his book. I take it to be some variant of Mysterianism (Transcendental Mysterianism? ), though Tartaglia never mentions that term in the book. So at some level, it could be argued that the hard problem is just a neural quirk. But I think if you go down that road of neural determinism (i.e., no free will), then you’ve undermined your reasons for believing in much of anything (e.g., that we have access to the world as it really is) because without free will then whatever conclusion you end up at is just a matter of initial conditions and causal laws. And so by default you still end up with the Transcendent Hypothesis – in that there’s no particular reason to think that our initial conditions and causal laws were such that we are going to arrive at “true beliefs” about reality. James relies mainly on “dream” examples, but the same (or better) arguments could be made with artificial intelligences in computer generated realties. SO – anyway – I was just curious if you had come across Tartaglia and had any thoughts on the Transcendent Hypothesis. You make me want to read it now! But the question is why think the way biological cognition crashes intentional cognition–as it does in your neural quirk explanation of the hard problem–delivers us to the ‘transcendent hypothesis.’ Being forced to rely on intentional vocabularies in various problem-ecologies in no way culminates in a ‘nature-transcending meaningful world of objects for us all.’ Square-one involves no such grand metacognitive determinations. You just do the things you do using the words you use to solve what problems embroil you. It’s only when you apply these heuristic tools to the theoretical question of what these tools and their ecologies consist in that you end up with the endless disputation of all things ‘transcendental,’ from which you extract the theoretical image of nature-transcending meaningful worlds, utterly occluding the facts of cognitive ecology as you do so! I think the ‘hard’ issue going on here between fiction and HNT is not entirely what may be going on in some ‘center’ of cognition, for that is itself also (must be) a fictive state. For I think the question Delueze shows us by asking which term are we using/understanding which reaches outside of the fiction? Which term are we using to ground the rest of the fiction? I think Bakker, you have biology or brain as a founding term which is able to break the fictive state to reach something not fiction, or real as the case may be. And then From that ideal linkage develop a corresponding Reasonable description of what should be possible given that inspirational source. Now, in as much as I am putting forth a comment about All humans , I too must be involved In that same situation. This is why I say that the process is a long game; the short game is always wagering on what is ‘outside’ this grounding-fiction will intervene on the side of the fiction. There’s a lot more going on; but basically that’s why I say that such “biological” rationale appears as a religious theology. I question whether we even get ‘outside’ because outside must also be constituent of the fictive state. But, nevertheless, we must develop worlds to see as ‘substantial’. Hence: religious fedelity. … but nevertheless, I tend toward evolution and biology; just some the bbt/hnt I cant go as far with. But the terms are great identifiers of the situation. For me, the issue really is quite simple: How much can natural science explain? (Because we know it ain’t gonna stop until is has to). Is humanity some kind of essential exception to nature as we know it? As you say, ‘grounding the rest of fiction’ for me resides in biological discourse. Where else would it lie? Reason? It is able to lie in biological discourse; that’s all that really matters if indeed that’s what you are addressing. Also I agree : Miellassoux shows how not to try to reach beyond Kant. Maibou’s “groundwork” that she posted recently, shows what is occurring: actually lying the parametrics of a ‘grounded’ world, over a nihilistic world. A ground of substance. She is owning what I call “the transcendental clause” and finessing it, working it, crimping the edges and such, so we will be able to have a ‘pie’. So we can stop having to fret over this cycling nihilism which can never get outside of its correlational suspension. BBT and hnt appear to me to working toward the same (similar) goal. Can she get a consensus with her grounding? If not, then it’s a kind of game but if she doesn’t acknowledge it as just one kind of game that can be played, then it’s another idea that is only as convincing as its dogmatism is appealing. There probably are some baselines to be found – much like an arm naturally folds in a certain direction, the mind/brains processes/emotions/thoughts fold naturally in certain directions. You can build a grounding off of these natural inclinations that would tend to be compatible with a large number of other humans (though people go against their natural fold at times, for example in various forms of self mutilation (piercings, tattoos) so you’ll find even a system that goes with neuro typical brain behavior will grate with some folks). But the talk seems to be about ‘the’ grounding, rather than something like I just described. As if reaching for some central core of human interconnectedness, with whatever philosopher it is, being sure they have an access to this within them. Kind of like a prophet. There is a consensus about what is being addressed, but there is not a consensus about what constitutes the consensus. Not everyone had to agree that discourse is self reflexive. And yet a whole generation of people somehow came to the conclusion at least by their attitudes, mannerisms, expressions and behaviors that there is no absolute ground to what we are talking about, and people and culture felt ‘alienated’ and got ‘nihilistic’ like at no time before. This hardly came about through some giant philosophical consensus; most people had no clue what the arguments were or what various terms might mean. Somehow there are philosophers who notice things and the way things are who then become part of a process that they cannot argue but nevertheless allows them to be able to say certain things that address the process. Malibu understands that there is an aspect about the process which demands transcendence on one hand, and conceptual finitude on the other. This is the issue is nihilism that is attempting to ‘ground’ itself , a process of contradiction in the motion of removing its ‘emptiness’. But you can read about it in my book due late summer 2018. For sure….kinda like a prophet; in particular perhaps, Kierkegaard’s “contemporary prophet”. (Philosophical Crumbs). Cognition? I wonder if Persona 5 fans would appreciate this. Much of the game involves that. Religion… to the extent it attempts to explain souls, immortality etc it is the original crash space. To the extent it attempts to use the threat of eternal damnnation to extort resources from the people it is the original cheat space. That’s part of the reason I think that much philosophy is merely religion for people who think they’re too smart for religion. I’d say religion is more of a coping prosthetic. Ever since we developed the upper hemispheres of the brain we are the very thing that crashes us. The self crashing soul. But yeah, the resources thing is a cheat space, def. “Coping prosthetic” and crash space are far from mutually exclusive. Sorry, I meant a prosthetic to deal with the terrain that is crash space. Me bad write. Also on reflection I might add some caveats to damnation for cash/resources. After all, I don’t want to damn damning too much. – How Your Brain Makes Sense of the World: Follows The Brain episodes, thought the work of augmenting perception would interest TPB readers. Lol, I was just listening to him on AoM. Lol. I imagine that’s not an easy fix to kick ;). I finally finished the AoM podcast. Obviously, this is my only point of reference for NT but I appreciate much of his “furthering humanity” sentiment.